Polls are open today until 8:00 PM in a special election to fill the New Jersey US Senate seat. 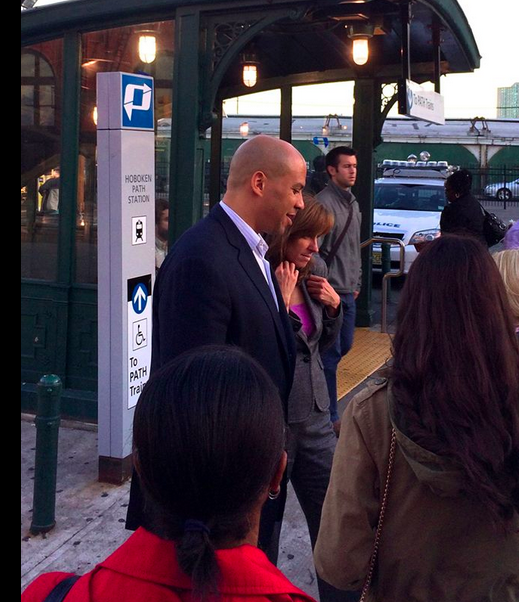 Newark Mayor Cory Booker (D) campaigned with Mayor Dawn Zimmer yesterday by the PATH Station. 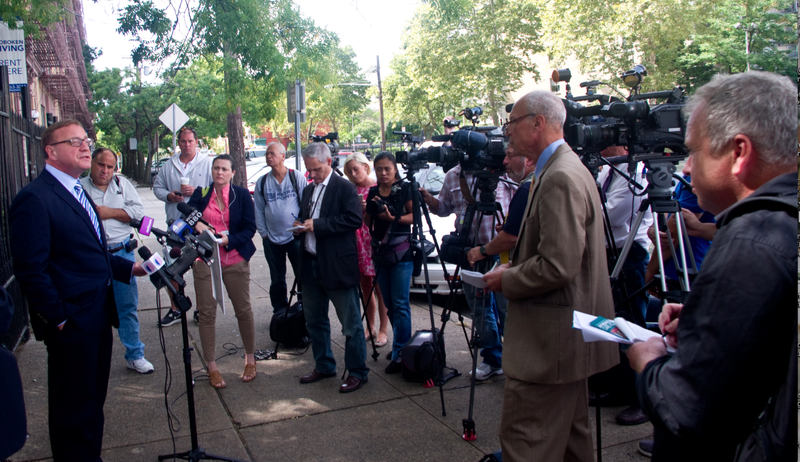 Mayors Booker and Zimmer photo courtesy Bond, Greg Bond.